The 33-year old Karthik found himself out of favour as the national selectors preferred a much younger Rishabh Pant for the reserve wicketkeeper's slot for ODI series against Australia at home. Finding himself in troubled waters after being dropped from India squad for the final five ODIs versus Australia, Dinesh Karthik is back in the reckoning once again as he gears up for the 12th edition of cash-rich Indian Premier League (IPL). 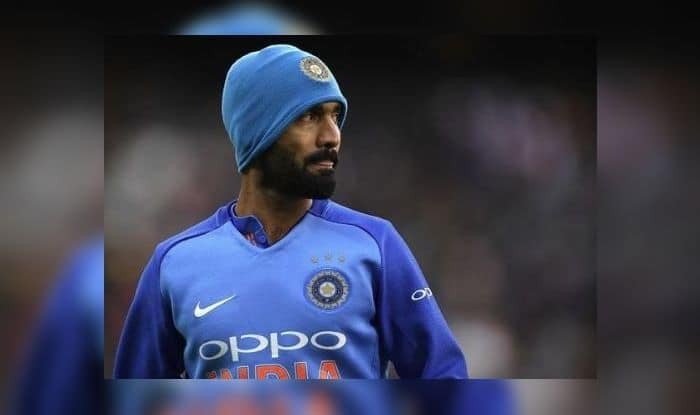 A good outing in the Indian Premier League may help him grab a spot in India’s World Cup team but Kolkata Knight Riders captain Dinesh Karthik on Saturday said he was not thinking much about the 50-over showpiece but rather focussing on the T20 tournament. The veteran from Tamil Nadu found himself out of favour as the national selectors preferred a much younger Rishabh Pant for the reserve wicketkeeper’s slot against Australia at home, before the World Cup. Pant, however, failed to deliver in the series against Australia which India lost 2-3 and that brought Karthik back into the contention for the World Cup which begins on May 30 with his rich experience and the ability to play the finisher’s role in crunch situations. Karthik was all praise for the Eden Gardens pitch. “The soil has changed a bit and that has provided a lot more pace and bounce. That’s something we have enjoyed as a team and we have embraced it,” he said. “It’s one of the better wickets going around with lot of pace and bounce. Credit to the curator and Dada (Sourav Ganguly) for having such a sporting wicket throughout the year.